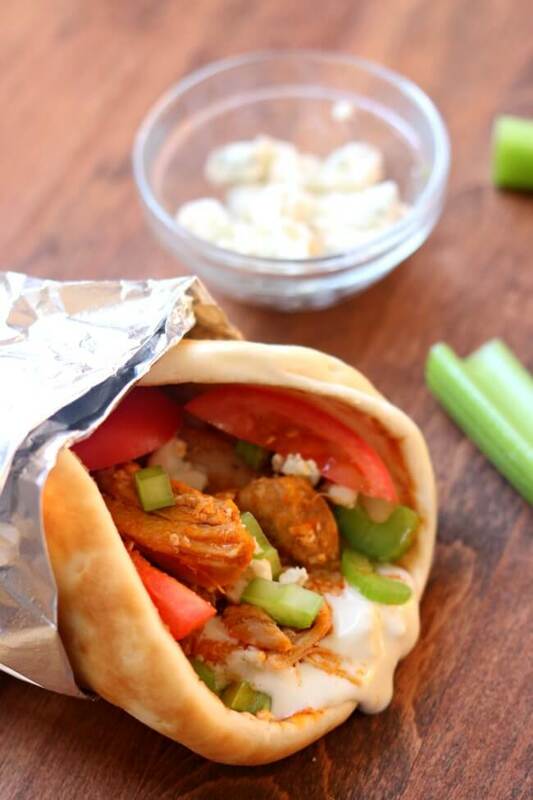 Instant Pot Buffalo Chicken Gyros–bleu cheese dressing is spooned down the middle of a warm pita and then topped with shredded chicken that has been stirred together with buffalo sauce. Then it’s topped with crunchy celery and bleu cheese crumbles. This is a party in your mouth! 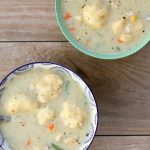 I can’t take the credit for this recipe because my husband thought it up. And let me tell you it is so yummy! The flavor and texture combination is perfect. 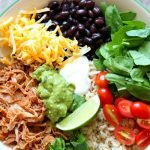 I used to think that I didn’t like bleu cheese but I am totally loving it lately! A little bit goes such a long way and it brings so much flavor. 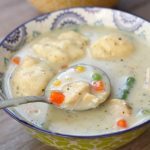 To start this recipe you’ll just cook up some chicken quickly in your Instant Pot. 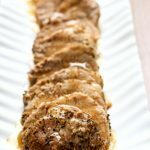 I have used chicken breasts for this recipe but I have also used chicken thighs. It’s totally up to you! I’ve also used frozen and thawed chicken. It doesn’t really matter. If you do use frozen you’ll cook the chicken for the same amount of time in the pressure cooker only it will take longer to come to pressure. 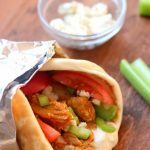 To make Instant Pot Buffalo Chicken Gyros I used my 6 quart Instant Pot Duo 60 7 in 1 for this recipe. I also own the 6 quart Instant Pot IP-LUX60 V3 Programmable Electric Pressure Cooker. They are both great pressure cookers! The first one I mentioned has a yogurt making function but other than that they are fairly similar. The price difference between the two is about $20. 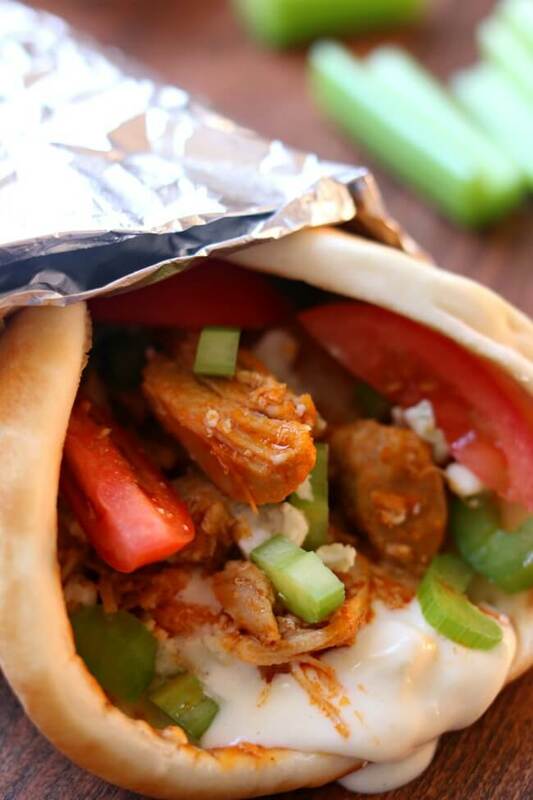 Bleu cheese dressing is spooned down the middle of a warm pita and then topped with shredded chicken that has been stirred together with buffalo sauce. Then it’s topped with crunchy celery and bleu cheese crumbles. This is a party in your mouth! If your chicken is frozen place the trivet in the bottom of the Instant Pot. Place the chicken on top of the trivet. Pour the cup of broth in the bottom of the Instant Pot. If your chicken is not frozen place it in the bottom of the Instant Pot and pour in the cup of broth. Cover the Instant Pot and make sure the valve is on “sealing.” If you’re using chicken thighs set the manual timer (pressure cook button) for 22 minutes (high pressure). If you’re using chicken breasts set the manual timer (pressure cook button) for 10 minutes (high pressure). When the timer beeps let the pressure release naturally for 10 minutes. 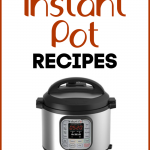 Open the Instant Pot and drain and discard the liquid. Shred the chicken and pour in the buffalo sauce. Stir in well. Spoon a tablespoon of bleu cheese dressing down the middle of a warm pita. Then top with about 1/3 cup of chicken. Sprinkle with chopped celery and a few bleu cheese crumbles. 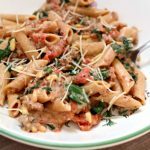 You can also add lettuce and tomato, if you desire. Looks delicious! Thanks for linking to my meatball recipe.